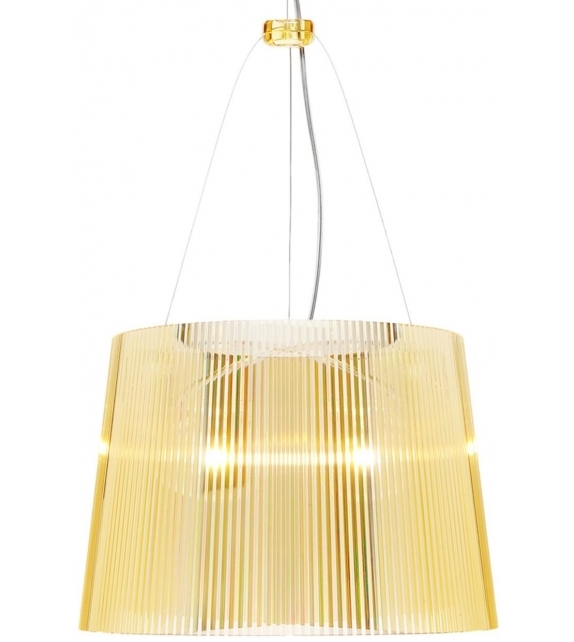 Gè is a suspension lamp designed by Ferruccio Laviani for Kartell. 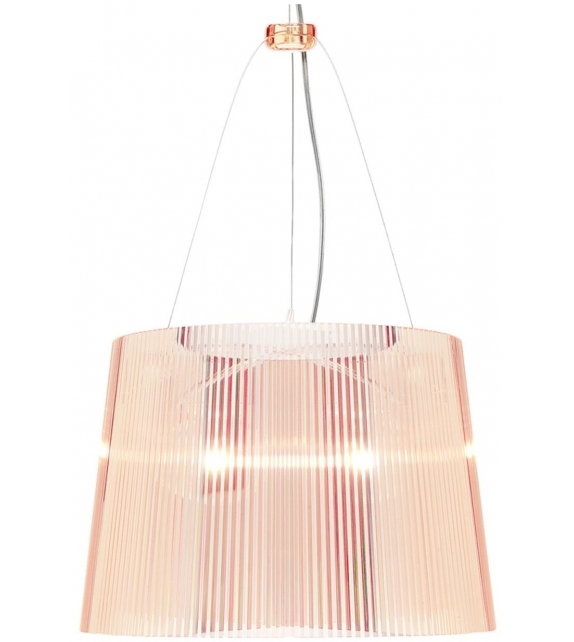 Gè: is a suspension lamp attached to the ceiling with a decorated polycarbonate rosette suggestive of antique Venetian chandeliers. 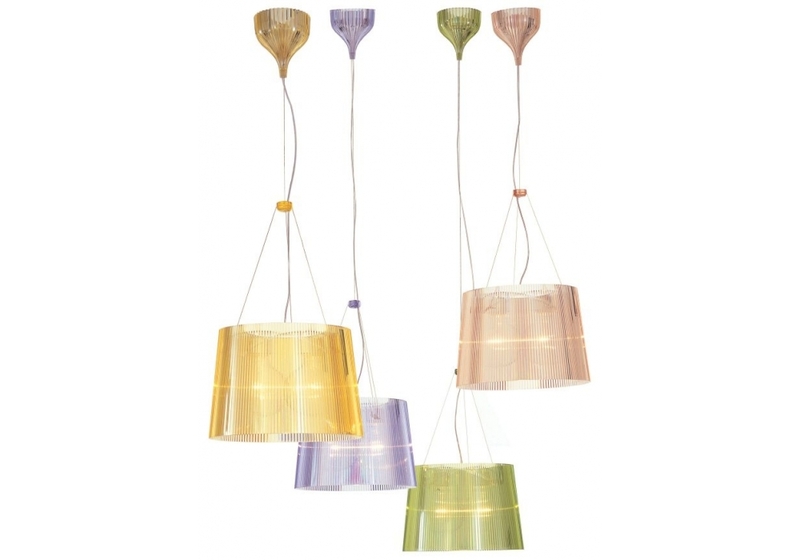 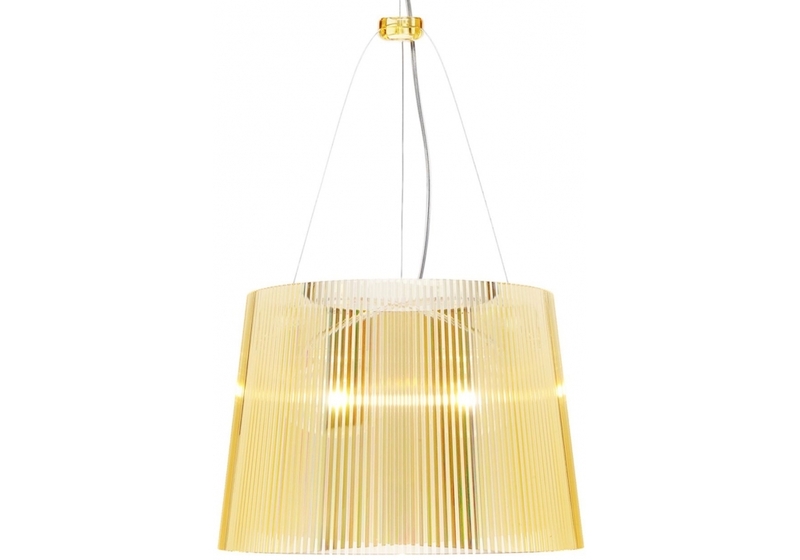 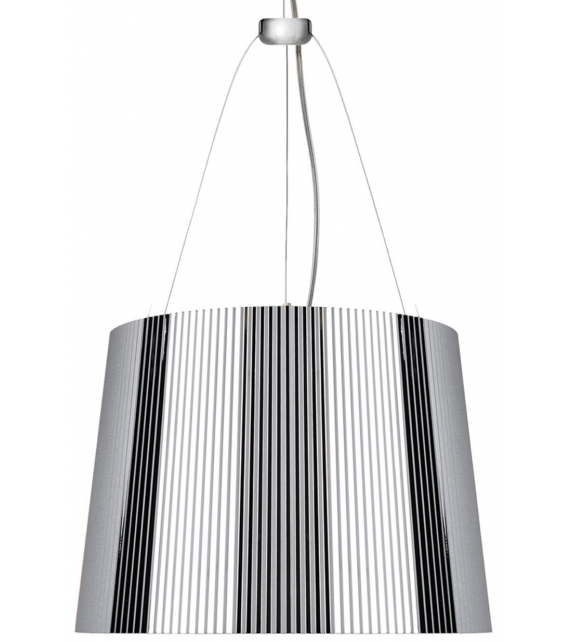 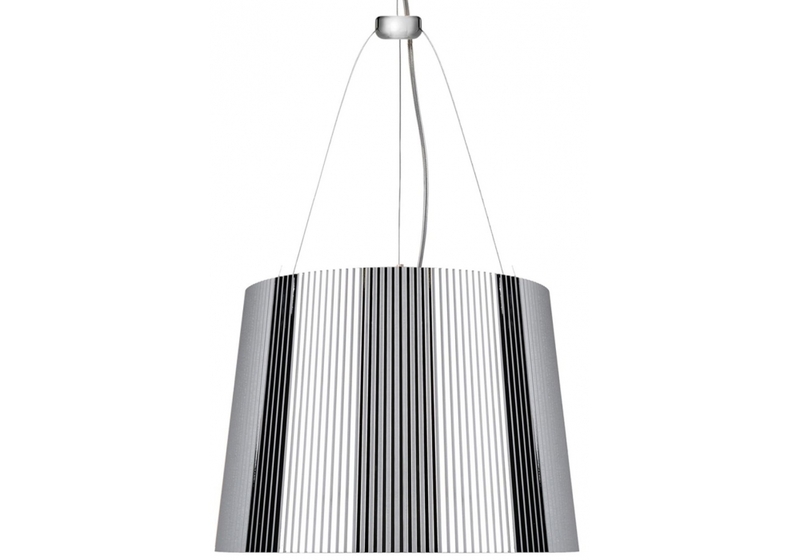 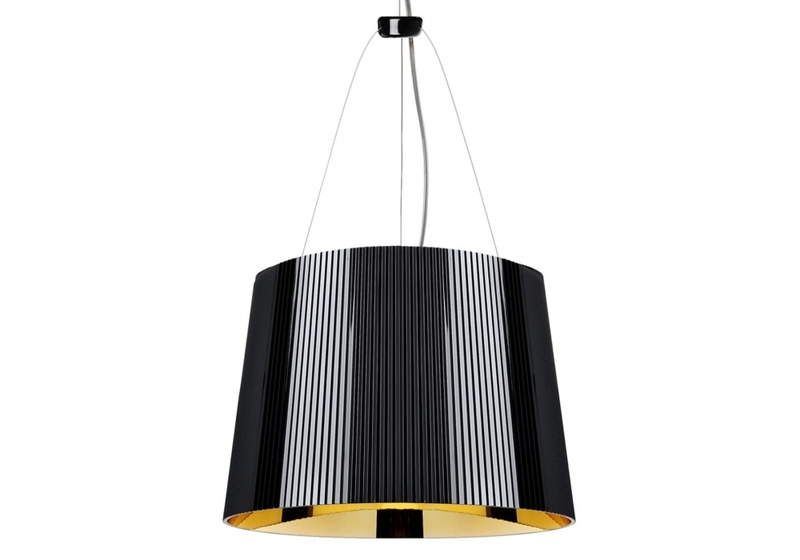 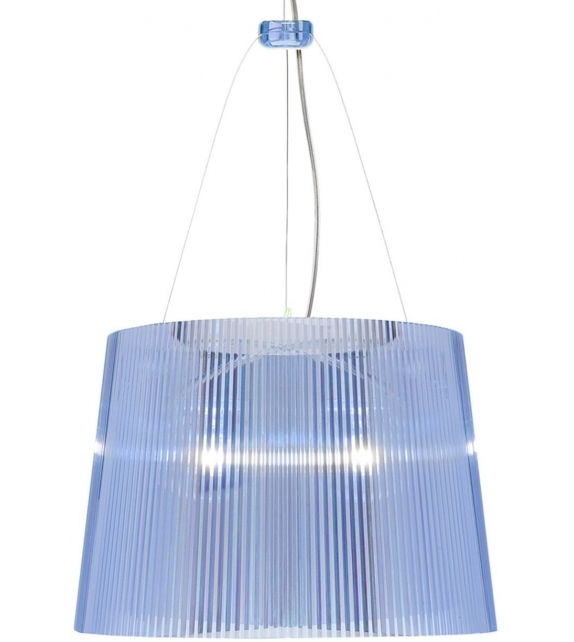 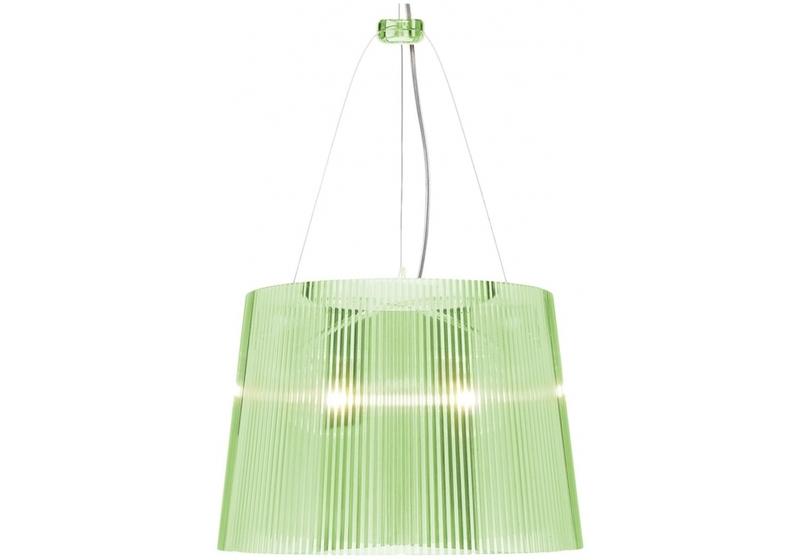 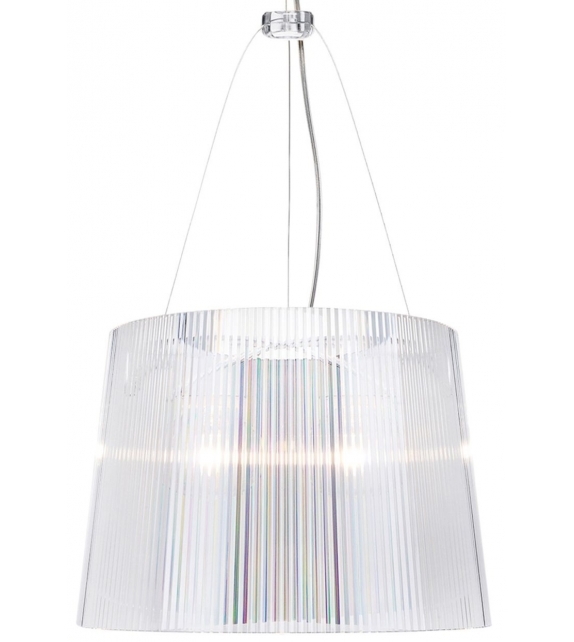 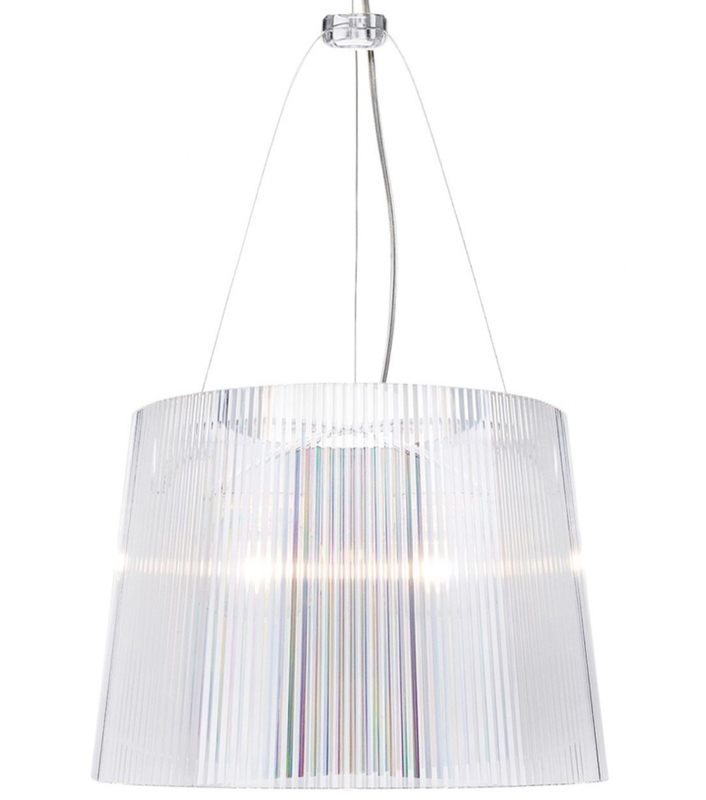 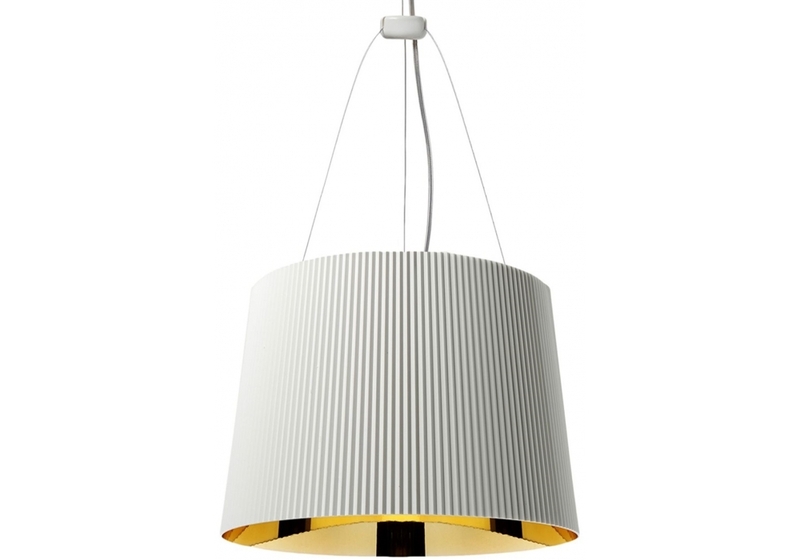 It comes with a 37 cm diameter pleated lampshade and is made entirely of polycarbonate. 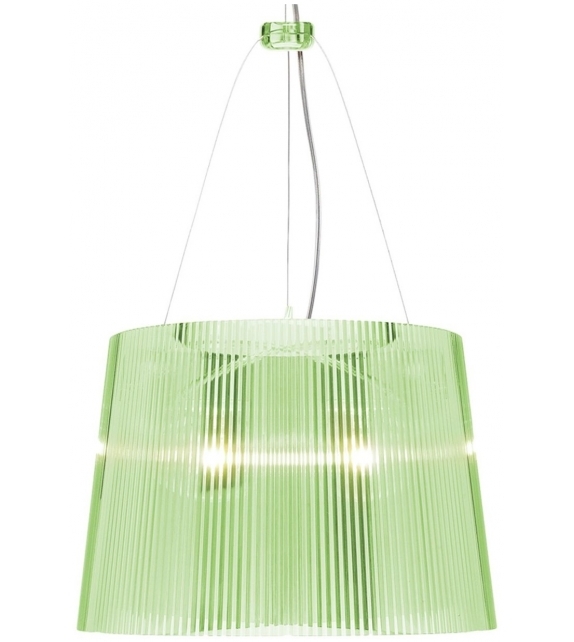 Gè is a suspension lamp designed by Ferruccio Laviani for Kartell. 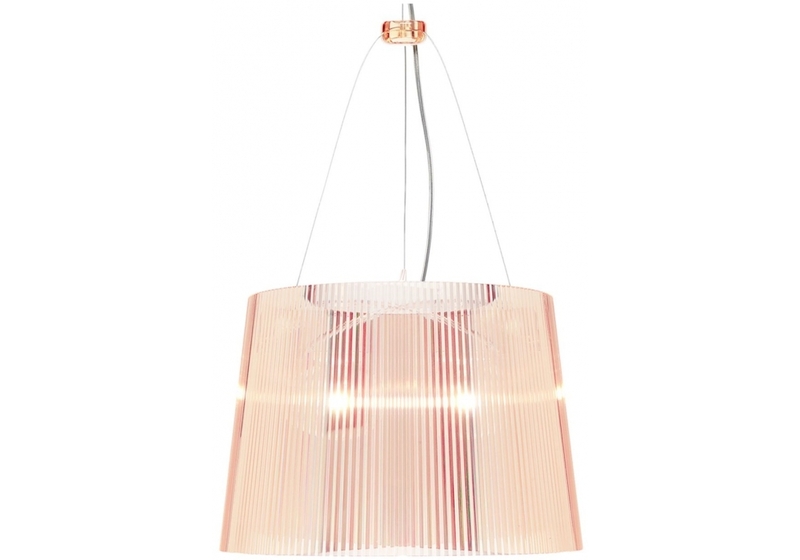 Gè: is a suspension lamp attached to the ceiling with a decorated polycarbonate rosette suggestive of antique Venetian chandeliers. 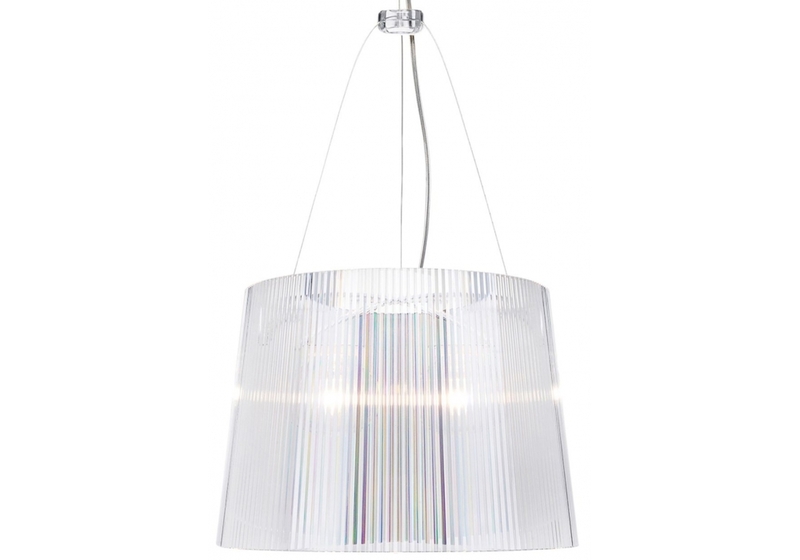 It comes with a 37 cm diameter pleated lampshade and is made entirely of polycarbonate. 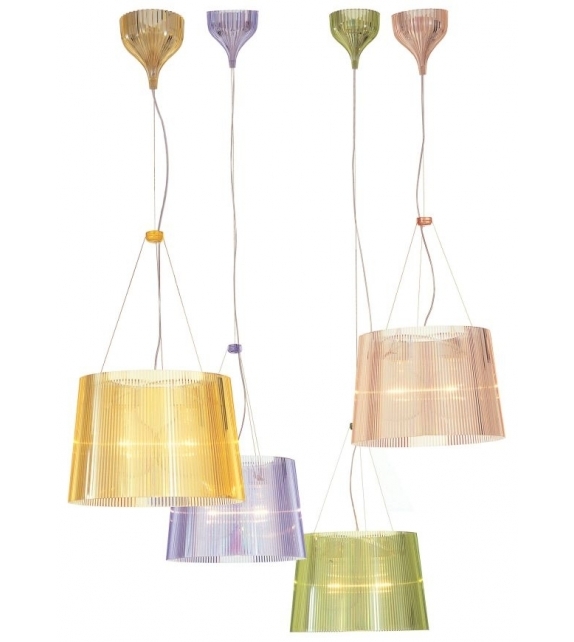 Gè is available in two versions. 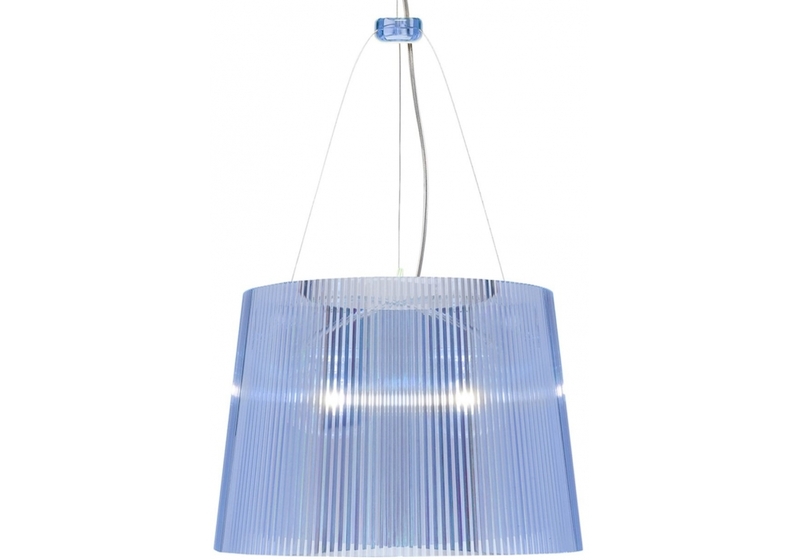 The first provides the effects of transparency and comes in soft, sophisticated colors. 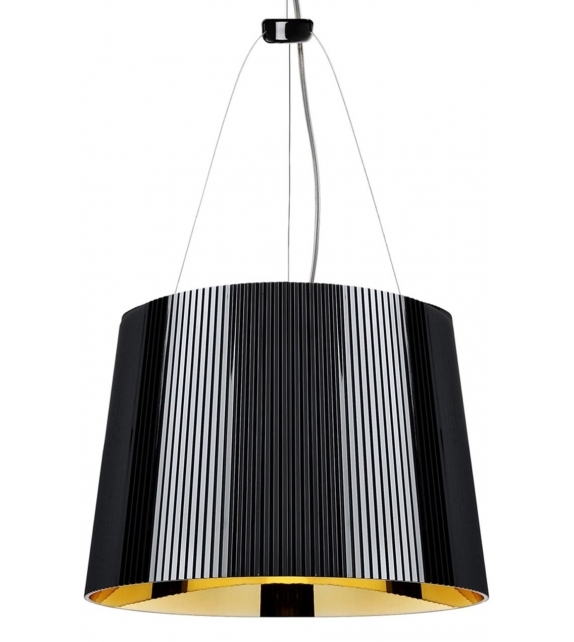 The second expresses the effects of white and black combined with gold and with the chrome version. 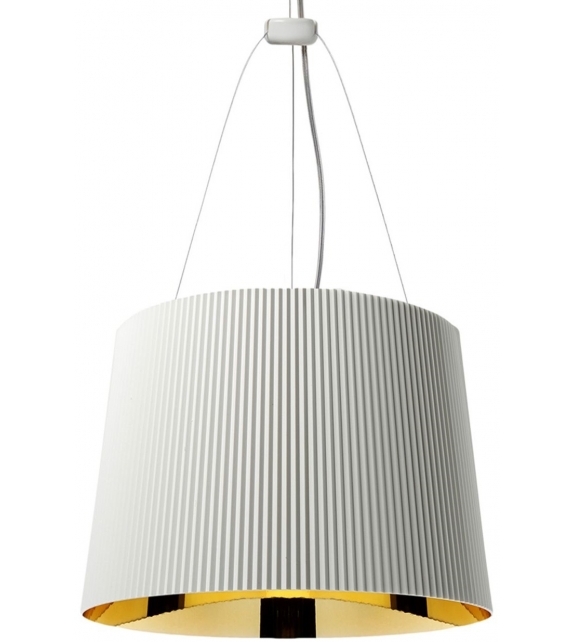 The cable can be adjusted in height from 45 to 230 cm.